On March 22, World Water Day, the Adventure Park in Kollam allowed people in without tickets. 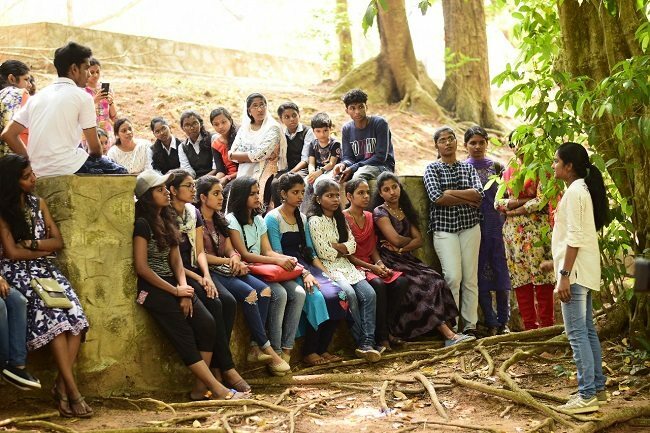 About a hundred of them walked in – college students, working men and women, senior citizens – to listen to a young woman and her friends talk about ‘Quppi’, an idea that could rid the Ashtamudi Lake, that they were sitting next to, of the many wastes cast on its shores. Aparna S is still a student, in her early 20s, doing a B.Ed. Course in Kollam. 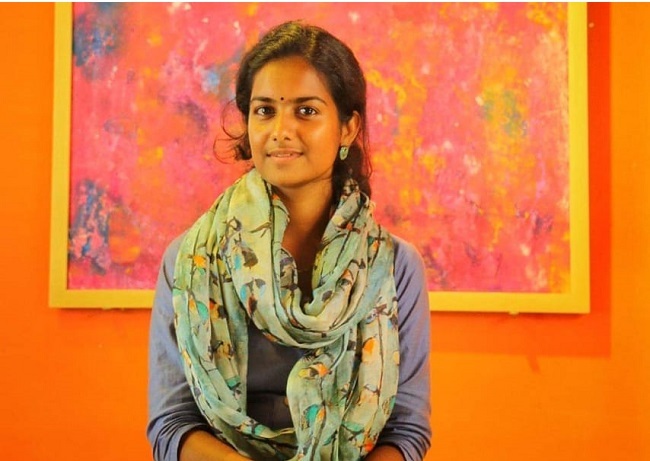 The idea of Quppi came to her on the long stretch she travelled every day to reach Kollam town from her home in Munroe Thuruthu, an island 28 km away. “There would be so many bottles on the way, especially on the banks of the Ashtamudi Lake. I began collecting the pretty ones and bringing them home. I have always liked to paint and draw and this is what I did on the bottles. They became decorative,” Aparna says. This became a habit. Every day she brought five or six bottles home. She’d carry extra bags and sacks to carry these till her mother began to worry – what will people say of a 22-year-old picking discarded bottles from the road? 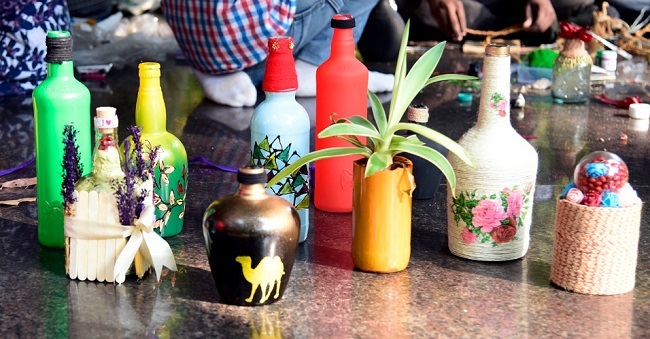 But when Aparna began to post pictures of the bottles she converted to beautiful decorative pieces, people began asking her about them, ready to buy them from her. “Then the family too lent support,” Aparna says. 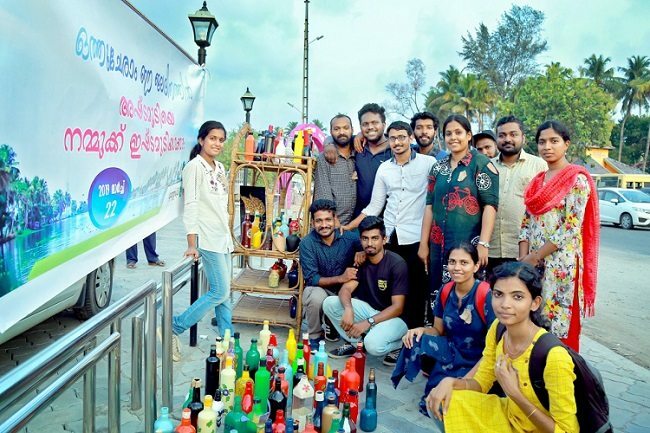 What began as a hobby got a deeper meaning when Aparna realised that in one way this could reduce the wastes accumulating on the sides of the beloved Ashtamudi. “If more people joined and more bottles got picked up and converted into something useful, it could really make a difference,” she says. She put a Facebook post in the first week of March, announcing a meeting of those who would like to take the waste converted into ‘a new form’ back home with them. Sixteen people she has not met before turned up on that Sunday. 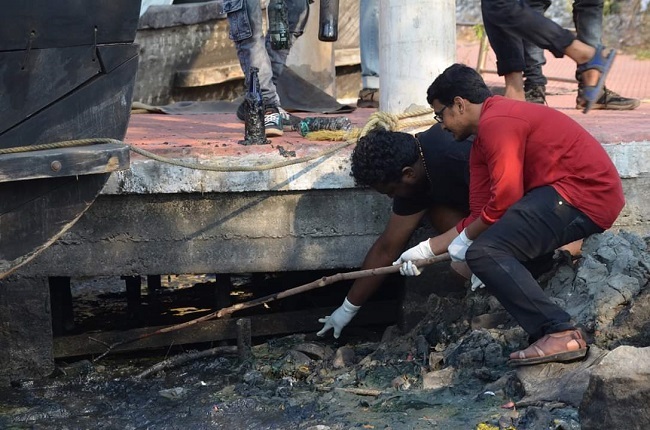 With gloves covering their hands, they picked up all sorts of waste material that could be upcycled – bottles, thermocol, plastic covers, disposable cubs, nylon clothes – and brought it to Aparna’s home. More materials came from the townsfolk who heard what was happening and wanted to help. Aparna and team spent hours cleaning the materials they collected. “Cleaning was the toughest part,” she says. With a little team helping her, Aparna felt confident to put together a small awareness programme at the Adventure Park on March 22. College students, teachers, employees of the health department, working folk – all came to attend it. In the morning, there were interactions, and a talk by Advocate Rahul VI, who is interested in the conservation of Ashtamudi Lake. In the afternoon, they began collecting discarded objects from the lakeside. Aparna and her team demonstrated how it can be cleaned and decorated and reused. The upcycled objects were exhibited and some of these were bought too. “We often spend money to buy craft from the shop when instead we can convert such waste materials into something useful. I was mocked so much for collecting waste from the road. It is that attitude that should change,” Aparna says. It is not always decorative pieces. Plastic bottles, for instance, can be converted into a piece of furniture, like a stool. “There are many ideas being shared. One idea is to create shades or shelters – some sort of roofing – with plastic bottles in bus stands and other places. But we will need more raw materials for it,” Aparna says. Quppi is turning out to be bigger than she expected when she began it as a social media page for the bottle craft she created.